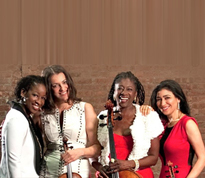 Akua Dixon’s Quartette Indigo has been in the forefront of improvising string quartets since 1973. They are a string quartet “unlike any you’ve heard before”. They play “hot and sassy, sweet and spicy, with style and virtuosity”. 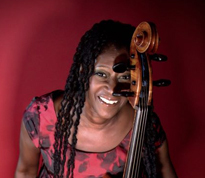 In addition to European Classical music, they perform Akua’s original compositions and her arrangements of the Great American Songbook, Jazz, Spirituals, Blues, Salsa, Tangoes, Rags and Bebop in a unique setting. 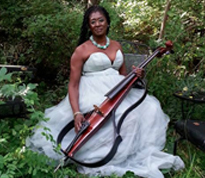 Composing for improvising strings has been Akua’s life work. She uses the tools of classical composition to convey a voice which, no matter how sophisticated and well-crafted, sings the blues. 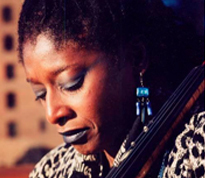 Akua’s authentic jazz string concept will bring your ensemble to life! As a teacher and clinician, Akua commands a breadth of knowledge and professional experience that will take your seminar, workshop or classroom to new heights. 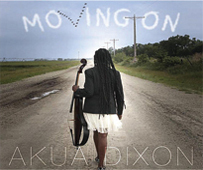 Get your free download to “MOTION” and immerse yourself in Akua’s music for string orchestra. Created to work along with traditional study for string students, add rhythmic, improvised music to your repertoire with charts by this award winning Cellist-Composer. Motion has a hip marching rhythm and interesting parts for beginners to full first position.